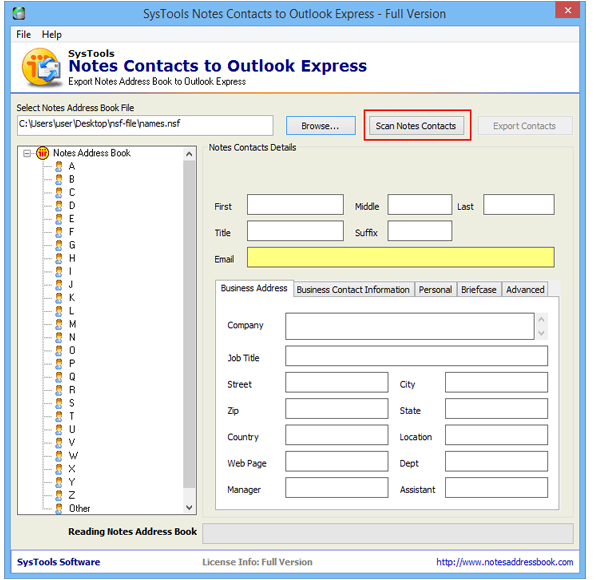 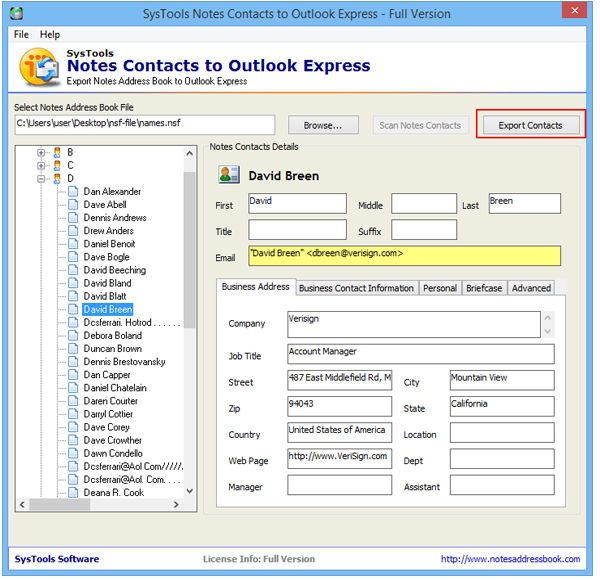 Click on Browse button to select names.nsf file to convert Notes contacts to Outlook Express WAB file. 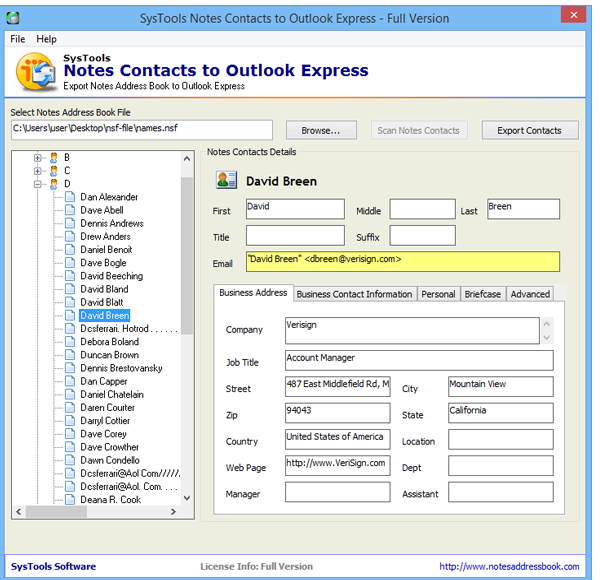 After scanning Lotus Notes Contacts, software will display following screen having contacts arranged in Alphabetic order. 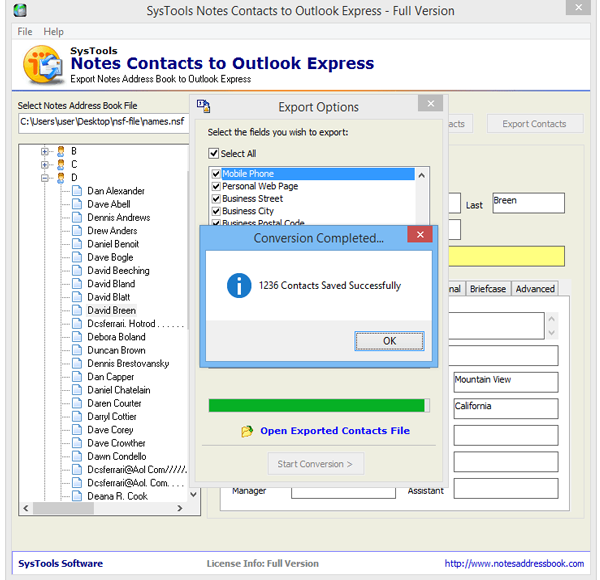 Now click on Export Contacts button from the right top of the screen to export or convert these contacts to CSV File. 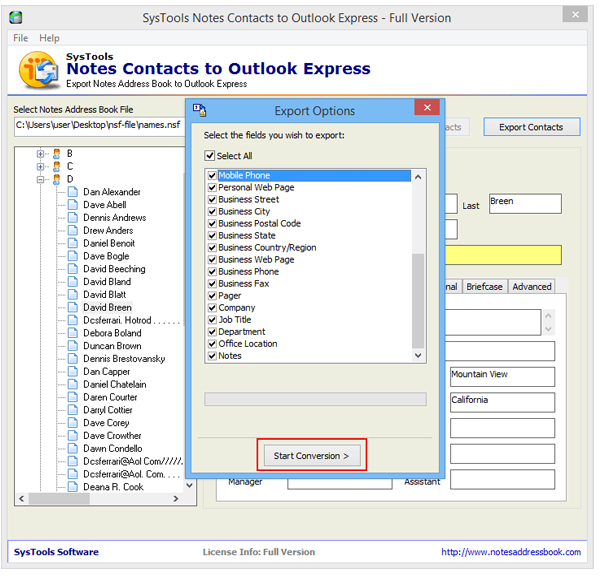 Now choose the location to Save the output CSV file after conversion. 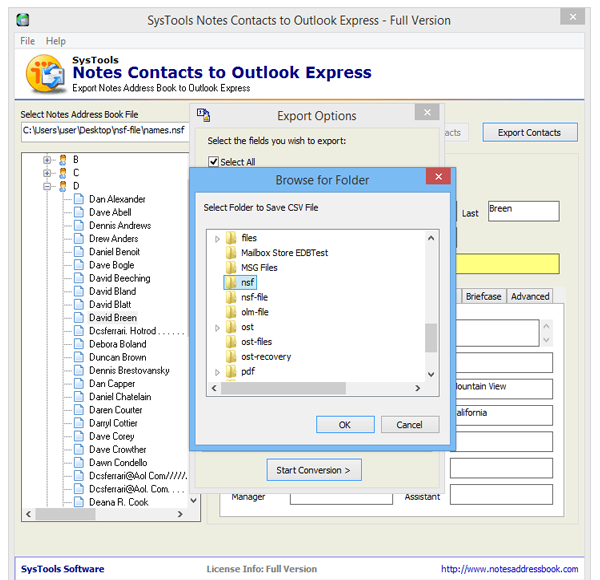 And click on OK.
Open Outlook Express. 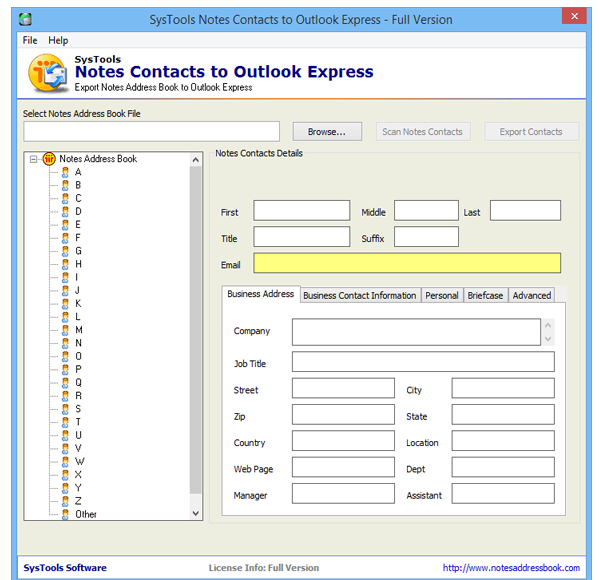 Go to File » Import » Other Address Book as shown below: . 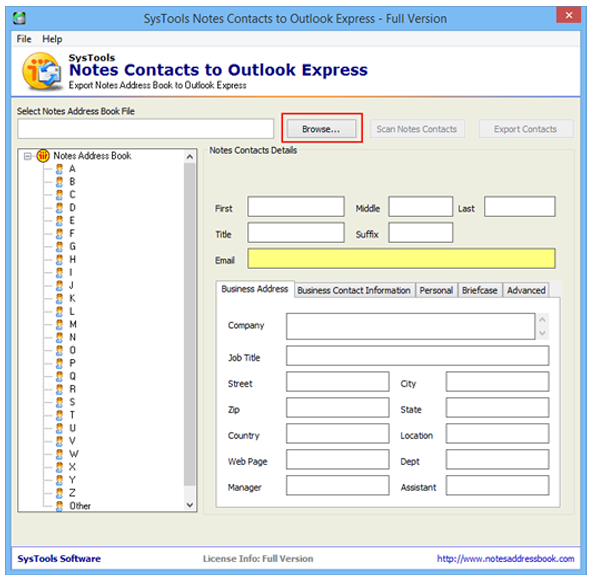 After selecting the file, click Next button to proceed further.